Comments: (Nee: ) | TX, TN United States | 1851-1900 | Comments: Photo found among many in the Family Albums of Hiram Hinkston Howe and wife, Sallie Lutecia Kerr HAMBRIGHT. 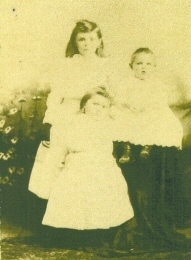 The Hambright family moved from East Tennessee to Texas in 1878, settling in Wise County. I would like to identify the photos found in the albums.